Life with Liv: Liv is starting school next month! I can't quite believe it but the time has arrived - Liv is starting nursery in September. She is very excited and can't wait to go! While I am nervous and a little emotional at the thought of setting her into the big wide world, I am talking to her about what will happen and being very positive about this huge change in both our lives. She is definitely ready to go and will have a fantastic time. We have been very lucky to be offered some items to help the transition and get her prepared for school. Here are some of the items we are prod to be reviewing. We absolutely love this Stabilo EASYoriginal pen. The grip zone in the center is non slip and a vague triangular shaped instead of more round like normal pens, the end of the pen is quite long ensuring it sits correctly on the hand, so they learn to hold the pen properly. Stabilo Trio Scribbi are triangular shaped felt pens with a retractable nib meaning no more broken tips! They are also super washable so no more stained finger or worse - clothes! 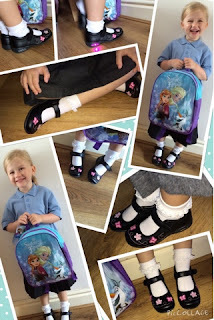 When Brantano kindly asked us to choose a pair of shoes and a bag, Liv immediately chose a Frozen backpack for £6.99 and these super cute, Walkright black shoes with purple lights £14.99. The backpack is very spacious and sturdy, with strong adjustable straps allowing it to grow with her. The shoes are very well made with a high quality look and feel to them. The flower and butterfly design is stitched into the shoe rather than applied to it, this gives a far higher quality look and of course is much more durable than a stuck on decoration. Ideal for Younger Girls, these shoes have a cute light in the heel which flashes purple with each step, also an easy close velcro strap giving the Younger Girls that little bit more independence that they so crave at this age! One of the things Friends and Family have stressed to me is how important it is to label EVERYTHING Liv takes or wears, apparently 3/4 years old aren't very good at keeping their belongings safe - who knew! With that it mind I was very excited to be offered this Brother PT-H105 label printer for review. I was sent the machine and 2 cartridges, one cartridge is a plastic type for labeling books etc while the other is material and perfect for labeling shoes/clothes. The plastic ones have a removable backing to allow them to be stuck straight down and the material ones need to be ironed on. This has been great fun to use, Liv has enjoyed typing in her own name and choosing flowers/hearts and many other pictures to make the label special. 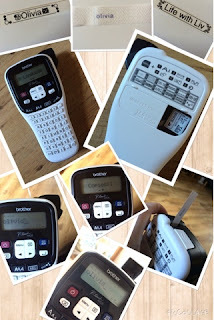 Once the label has printed simply press the cutting button and your label is free to be used - couldn't be easier! Priced at £40. Requires 6 AAA batteries - not included. Hedrin got in touch to offer a preventative head lice treatment which I think is a fantastic idea! Liv has lovely long hair which she tries to wear loose all the time so a big fear of mine has been an infestation of little critters once she starts school. The treatment is simply a spray and leave in conditioner for use a minimum of twice a week that deters the bugs from setting up camp! Very east to incorporate into the routine and very reasonably priced around £5. They also kindly sent me a fast acting treatment should she end up being infected it will save us a mad dash out trying to find a treatment. 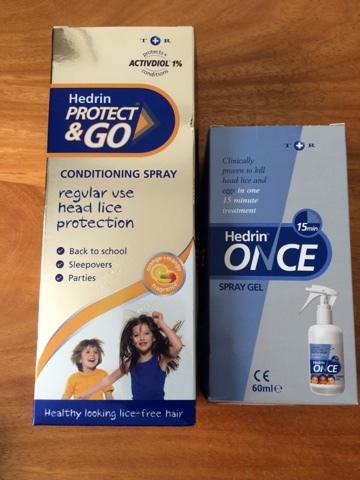 Hedrin once is a spray gel solution that is clinically proven to kill head lice and eggs in just one application. You simply leave to work for 15 minutes - a lot kinder than the horrendous treatments I remember as a Child! Phonics school DVD and workbook, introduces children to phonics in a fun way, engaging them right from the opening credits. 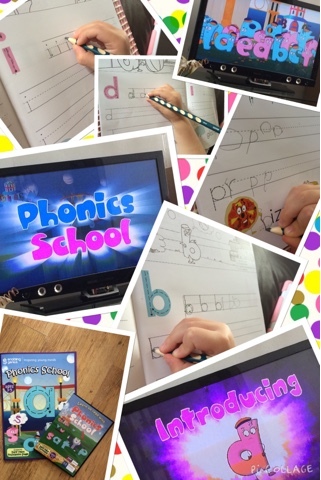 Phonics School tells the story of the young 'phonikers' who are pupils at Phonics School. Their wise bear teacher Master Anok teaches them that they can transform into anything that begins with their sound - we particularly enjoyed the episode where C and K learn the difference between their sounds, something that is very hard to explain came across very well because it was visible. Liv has genuinely loved watching this DVD and has been walking around announcing what sound or letter everything begins with. Both the DVD and the book are a fantastic way for Parents to give their Children a head start from home. Targeting the 3-5 age group and licensed by BBC Worldwide Learning. The series will soon be available on iTunes & Google Play. 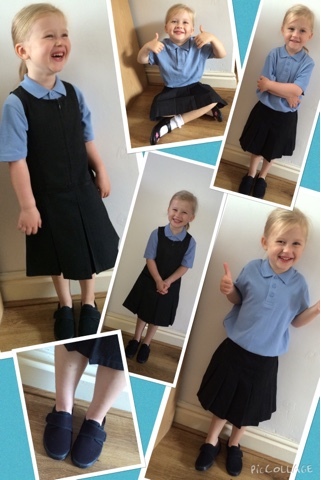 Of course the most important thing for back to school is having the school uniform! Nutmeg clothing sent us some uniform items for Liv to try out. All of the items are high quality, with perfect stitching and some well thought out touches. For example the skirt has and adjustable waist to allow you to get the most out of the skirt for as long as possible, it also has a cute little heart buttons. Both the skirt and the pinafor have a shield and clean Teflon coating to help make sure they don't get stained. They are also both machine washable at 40 and can be tumble dried too. The pumps even have space inside to write the Childs name - very helpful! 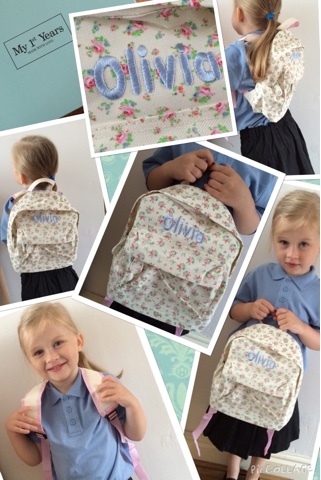 This beautiful floral print rucksack is the perfect size for those independent little school starters . Smaller than other backpacks Liv has tried, this bag does not swamp her or look over sized at all. This bag also comes with fully adjustable straps to ensure the perfect fit, a handle on the top for carrying and there is also the option to personalise the bag in a range of coloured cottons. I would definitely recommend this bag. The quality is outstanding. All of the stitching and zips are perfect and the overall design is just perfect for the little ones starting school this year. So that's it, my Baby Girl is officially going out into the big wide world next month. She is so excited and I know she will love it but I know I will shed a tear or two once she is safely inside. How did you find the first day of school?